The tradition of a "temple fair" (Miao Hui) began as groups of vendors who did business near Buddhist and Taoist temples when many pilgrims came to pay tribute to the gods during traditional festivals. The practice grew, gradually turning into a regular event. Now temple fairs are an important and joyful destination for Chinese people during festivals, most especially the Spring Festival, or Chinese New Year. 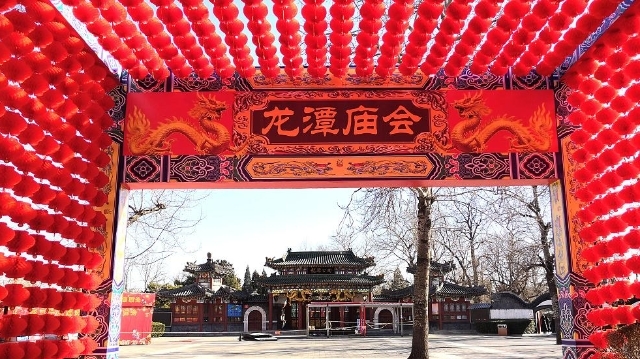 Temple fairs in Beijing have a very long history, dating back to around 1000 AD, when they were called "Spring Outings," and saw a boom especially during the Ming and Qing dynasties (1368-1911) as well as the Republic of China (1912-1949). Major temples all have their own festivals, some of which are held regularly. During the Spring Festival, the temple fair is one of the most important activities, and a traditional cultural event that features all kinds of Chinese folk art. 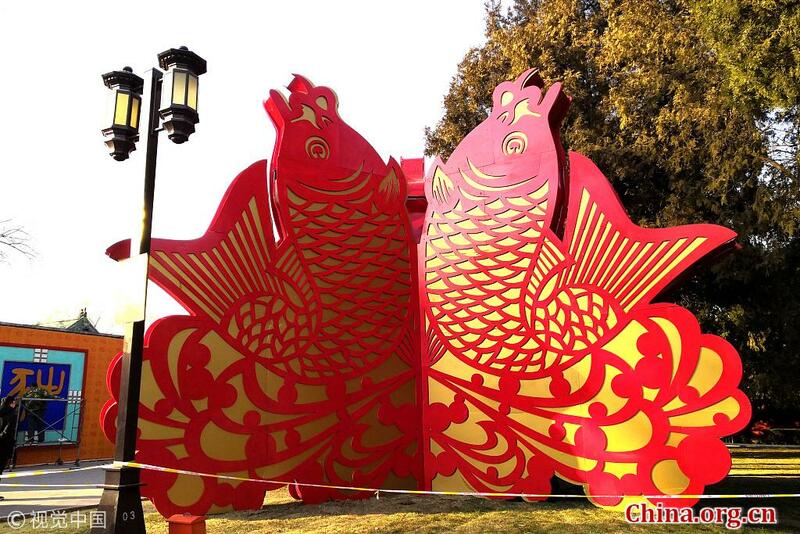 So far, there have been more than 10 major temple fairs held each year in Beijing. In traditional temple fairs around Beijing, there are performances and booths demonstrating and selling traditional arts and crafts. The fairs have lots of games to play, food to eat, and performances to see, which attract lots of people. In the temple fairs you can taste numerous kinds of local snacks, court foods, and other dishes. Most temple fairs feature dragon and lion dances, waist drum dancing, lotus blossom fairy dances, ground and clam dancing, as well as other folk performances, and some even stage traditional wedding ceremonies. For foreigners, a temple fair is definitely a cultural experience, because it airs Chinese cultures from a very detailed perspective. While enjoying the samplings of Chinese delicacies, you can appreciate craftsmanship and artworks displayed by local artisans. Nowadays, going to temple fairs has become a Spring Festival routine for residents in Beijing. Temple fairs are one way to get a taste of the Spring Festival in Beijing. Here is a guide for Year of the Pig temple fairs in Beijing.